What if detecting urban pollution was as easy as looking down at your neighbor’s chest? It is–if your neighbor is wearing one of the high-tech sweatshirts designed by NYU grad students Sue Ngo and Nien Lam. 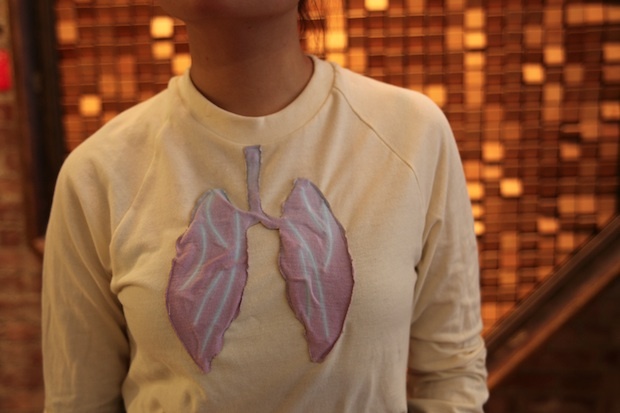 The shirts, designed for a class on wearable technologies, feature internal organs that change colors depending on the levels of carbon monoxide in the atmosphere (hat tip: NY Daily News). 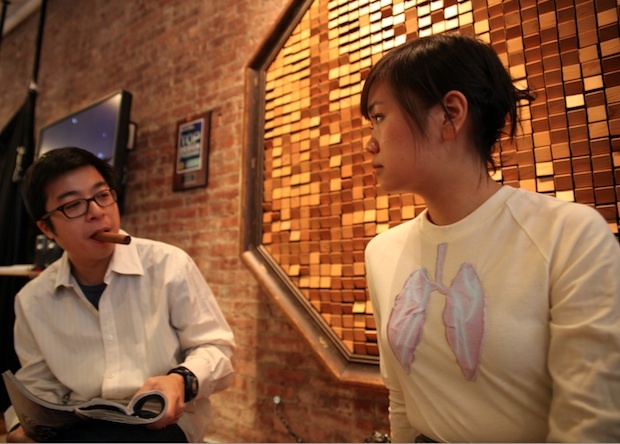 Lam and Ngo’s shirts use tiny carbon-monoxide detectors to detect pollutants. When the detectors sniff out pollutants, a microcontroller sends electrical currents through the shirts, heating up wires that run under the internal organs (lungs or heart, depending on the shirt).